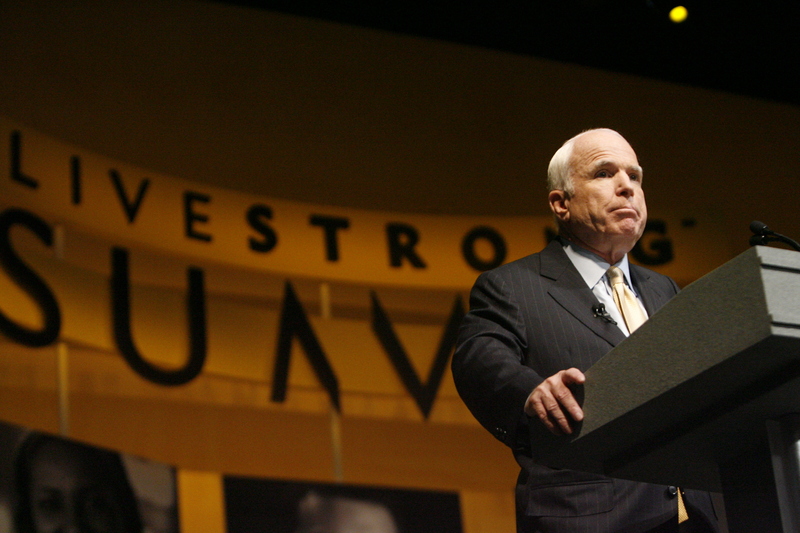 The LIVESTRONG family is saddened to a learn of the passing of Sen. John McCain, a devoted public servant whose brave fight against cancer reached its end on Saturday. In 2008, LIVESTRONG hosted a Presidential Cancer Summit where candidates discussed how they’d address the cancer crisis. We are so deeply grateful for his service to our nation and for serving as a voice for people affected by cancer everywhere. We extend our sympathies to his family and to all those who loved and admired him.